The toilet brings a wide array of plumbing issues to every home. From toilet overflows to running toilets, there are many things that can go wrong with the humble toilet bowl. One of the most vexing for many homeowners is a toilet that is overflowing or backing up but only during periods of heavy rain. There are a few reasons why this may occur and a few things to take into consideration when diagnosing the problem. 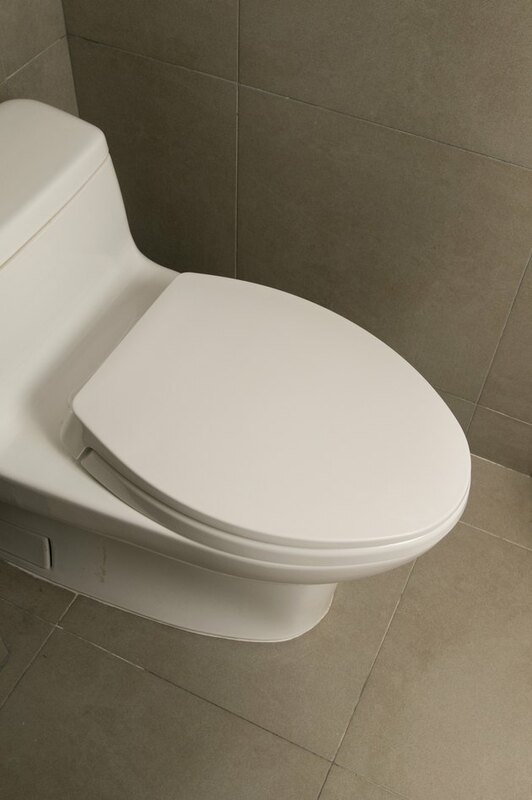 The humble toilet is a source for many plumbing issues in the home. The first clue to your toilet problem lies in the method of waste disposal your home uses. If you have a septic tank, an overflowing toilet can be due to one set of issues. If you are tied into the city sewer system, other potential causes enter into the equation. The first potential issue for homeowners with septic tanks is that the tank is full. A full tank will overflow back into the lowest drains in the house. This may be a toilet in a downstairs bathroom or a washing machine drain in the basement. The small amount of rainwater that gets through the outside of your septic tank causes it to overflow and flood water back into your home. Have your septic tank pumped out as soon as possible. If you are tied into the city sewer system, a backed-up toilet, during heavy rain, can be due to a cracked sewer pipe somewhere outside of your home. Rainwater is either draining back into the sewer pipe and causing the overflow, or the pipe is sufficiently damaged that waste cannot pass through, instead draining into the soil, which becomes waterlogged during heavy rainfall. The waste water then backs up and flows into the lowest drains in your home. If you have had your septic tank cleaned out and the problem persists, you may have a damaged septic tank. Many older septic tanks were constructed with concrete. These tanks have concrete lids that fit over the top of them. These lids can shift and allow rainwater to drain into the tank, or the tank itself may have caved in, causing rainwater to fill up in the tank and flow back into your house. Repairing or replacing a septic tank is a big job, and you may want to have an expert take a look and diagnose the problem at the unit before attempting to dig it up yourself.